In a recent lecture at the Middle East Centre of the London School of Economics on the prominent Islamist ideologue Sayyid Qutb (1906-1966), Dr. John Calvert, Associate Professor of History at Creighton University and an expert on radical Islamism, stressed the importance of taking into account the complex identity of such figures associated with political Islam, especially in view of caricaturistic representations in the media coverage of this phenomenon. Although radical Islamist ideologies and their exponents are not within the ambit of this blog, as it seeks to introduce 'critical Muslims' provided alternative visions of the place of religion in the Muslim world, a number of remarks made by John Calvert in his talk at LSE merit mention here -- as they can be considered helpful in acquiring a more balanced and nuanced impression of the multilayered personality of Sayyid Qutb. Not least also because the impact of his ideas on contemporary Islamic discourse can hardly be exaggerated. Moreover, when taking into consideration the full width of his intellectual legacy, Sayyid Qutb can be considered as a 'critical Muslim' in his own right, notwithstanding the vast differences between his vision and the outlook of other progressive and though-provoking intellectuals with more liberal dispositions. To understand what motivated individuals such as Sayyid Qutb, and those present-day and equally controversial exponents of Islamic radicalism and extremism who draw their inspiration in no small measure from his writings, a degree of empathy for their way of looking at the world is required, if we are to get even an inkling of what makes such activists (including those perpetrating despicable acts of violence) tick. In order to account for both 'the objective circumstances and subjective experiences' of a figure like Sayyid Qutb, Dr Calvert argues that it is necessary to engage in 'thick description' --- a term used by one of America's leading anthropologists of the late 20th century, the late Clifford Geertz (1926-2006), who applied this approach to his own research in the field of the anthropology of religion. 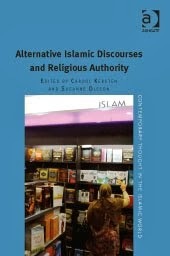 No matter how controversial the ideas they expound may be or how objectionable the actions they perpetrate or condone, if we are to comprehend the authors of radical Islamist discourses and make sense of what they stand for, these Islamist ideologues and activists must be studied on their own terms. In the case of Sayyid Qutb this evinces a gnostic disposition that suffuses all his writings, including the radicalized ones of the final years of his life, which -- as as it was cut short by his execution in 1966 -- has left us with what Calvert refers to as an 'open-ended Islamism'. This in my view very apt characterization points at one of the most problematic aspects of Sayyid Qutb's Islamist ideology -- namely what his often self-proclaimed heirs have done with his legacy. It raises important questions as to the extent to which authors can be held responsible for what others say or claim to do in their name or on the basis of their writings. In the course of his presentation, Dr Calvert explained how the doctrinal anchorage of Sayyid Qutb's ideas regarding the need for a radical transformation of Egypt, and indeed all Muslim societies, was grounded in his abiding interest in humankind's spiritual disposition and his personal preoccupation with the Transcendent. It was on these grounds that Sayyid Qutb consistently argued that Muslim identity eventually trumped all other loyalties or human associations. The transformation of a bookish writer preoccupied with literary and broader cultural interests into a radicalized political-religious ideologue must, according to Calvert, be primarily attributed to the torture Sayyid Qutb suffered at the hands of the Nasser Regime during his lengthy incarceration between 1954 and 1964 . It was this life-changing experience that is presented as an explanation for Sayyid Qutb's shift from his discussions of the dichotomy separating a spiritual East from a materialist West towards another binary opposing 'true Muslims' to those sleepwalking through existence with the false consciousness associated with the state of 'Jahiliyya'. Originally referring to a specific period in Arab history, namely the time prior to the mission of Muhammad and the revelation of the Qur'an, Sayyid Qutb interpreted it as a primordial disposition afflicting those unfamiliar with the true meaning of the Islamic teachings. Contrary to many of those appealing to the writings of Sayyid Qutb, the man himself did not take the step of condemning individual Muslims as infidels or apostates, but used it as a notion describing the collective state of mind in which contemporary Muslim communities find themselves. For a detailed account of this fascinating figure of modern and contemporary Islamic thinking, read John Calvert's latest book: Sayyid Qutb and the Origins of Radical Islamism (For more information click on the image below). Critical Muslims introduces innovative and creative thinkers from the contemporary Islamic world. In many Muslim countries the political climate is not conducive to free and open debate. Consequently, these intellectuals have often difficulties in finding a forum to expound their ideas, or face severe criticism and even outright oppression and persecution. Not surprisingly, quite a few have sought refuge abroad. Although there is at present a considerable interest in things Islamic outside the Muslim world, as a result of a series of deplorable events and developments, media coverage — and much scholarship too — is predominantly geared towards radical and extremist exponents of political Islam. This site is intended as a platform for presenting alternative currents of thought. is Reader in the Study of Islam and the Muslim World at King's College London and a Research Associate at the Centre for South East Asian Studies at the School of Oriental and African Studies (SOAS). He has also been a guest lecturer at the Institute of Ismaili Studies and at the Open University in the UK. 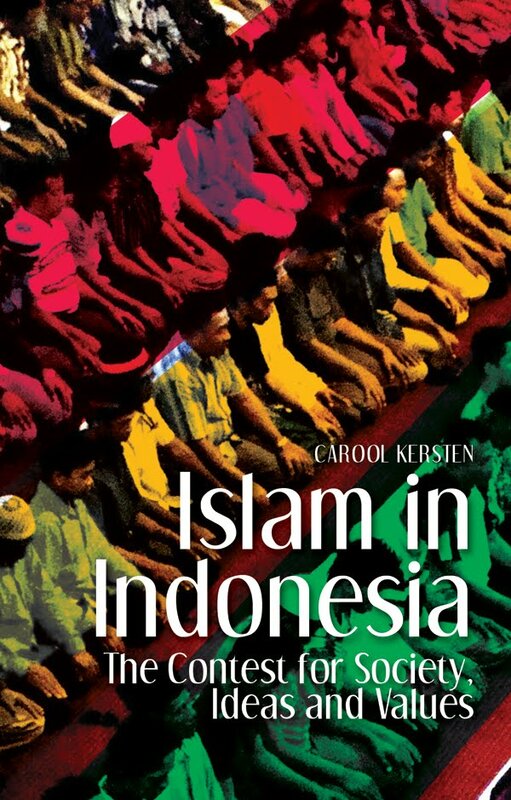 Carool Kersten is the author and editor of nine books on Islam and the Muslim world. He appears regularly as a commentator on developments in the Muslim world in the international media.